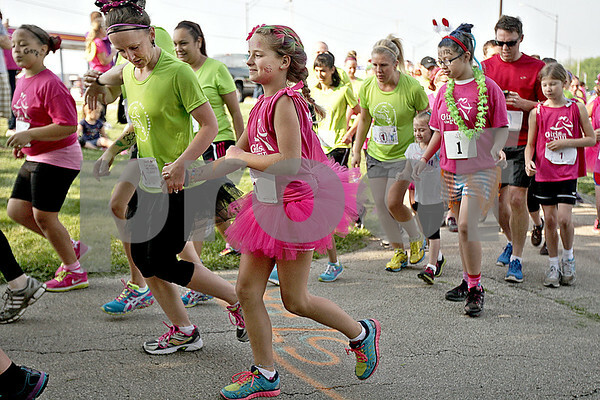 About 111 girls, their running buddies and community members took off on the area's first Girls on the Run 5K race at Hopkins Park at 8:30 a.m. on Saturday, May 18, 2013. Girls on the Run is a national program that encourages girls in grades 3-5 to avoid gossiping and bullying and promotes making better, heathier decisions. The back of the runners' shirts read, "I am strong. I am beautiful. I am worth it."